The unwelcomed sight of children displaying aggressive behaviour is something most parents are familiar with. This age-old habit of children is an inherent part of their upbringing, with each one displaying varied levels of it during the different stages of their childhood. However, such behaviour becomes a cause for concern, typically for parents whose children display heightened and extreme levels of such behaviour. This is primarily due to the destructive and worrying nature of it as it has the potential to cause irreparable harm to their young minds as well as that of the other people who come in contact with them. 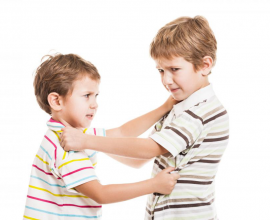 What Causes Children to Display Aggression? Physical and Verbal Abuse: There is a reason why many people actively avoid resorting to and resent such behaviour, especially towards children. This is because the harm it causes significantly outweighs the benefits, which some feel, of doing so. Thus, it is important to keep your attitude in check no matter how tough the going gets, or if children do something which easily angers you. In short, you should always look for productive ways to solve such problems, more so if they look up to you and serve as their role model. 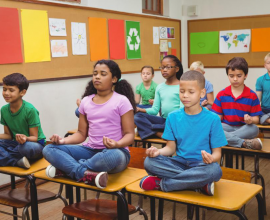 Stress: Stress has become a part of everyday life, even for school-going children. From the tension of completing their homework and studying for tests scheduled for the next day to being pushed to get the best grades, life is as tough for them as it is for adults. So, rather to reacting in the same vein to their outbursts and bouts of anger in general, deal with the situation in a different, less conflicting manner. It will help dissolve the tension then and there and they themselves may learn a thing or two if you are successful in doing so. Familial issues:Unluckily, some children are born in and are part of a dysfunctional family. As a result, they are exposed to a lot of things which children their age should not have to bear witness to (i.e. domestic violence, ineffective parenting, etc.). Being exposed to such negative attitudes and behaviours from an early age affects them, and some of them inadvertently end up adopting one or more form of these behaviours to themselves end up like the older members of their family.